Life Itself: A film about a renown critic that can leave its inspired audience, the many critics touched by Ebert, speechless. Roger Ebert is easily one of the most important critics of all time, if not the most important. If there is a reason for websites like Rotten Tomatoes and Metacritic, a reason for many students to want to study film theory over production, and a reason for yours truly to be writing this very article right now, it’s because of Roger Ebert and his friendly rival Gene Siskel. This pair brought short reviews to the world and introduced the idea that bickering over a film shouldn’t be frowned upon: It shows affection towards the film industry, if anything. If a movie was good, you should defend it with every fiber in your being. If a movie was bad, you should reflect on why, and what makes a movie good after all. 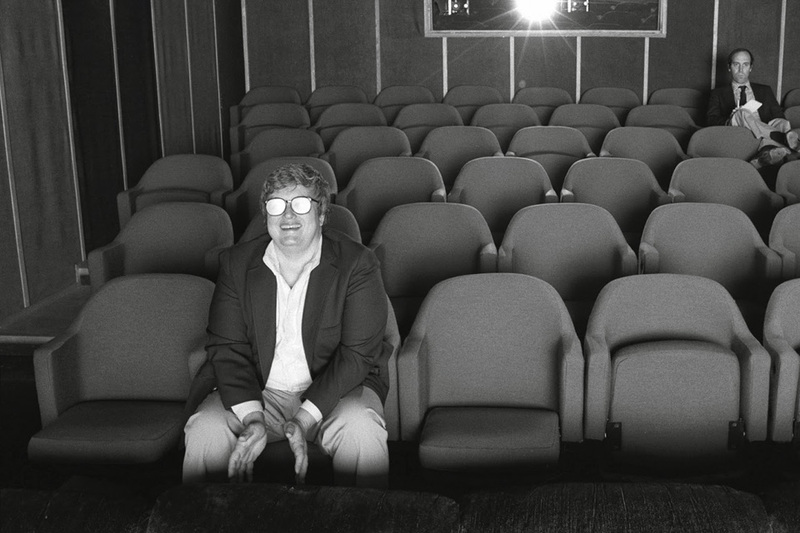 While both Siskel and Ebert were large figureheads within both the reviewing and film industries, Ebert was the inner child we all have inside. Siskel is the academic that dissected movies and looked within to see that every part within was functional. Ebert would just wait to see the movie as a whole and then, at the end, remark on everything that made the final product a good or bad result. Siskel was a fan of professionalism, and Ebert was there for the ride. With Siskel’s unfortunate passing (both he and Ebert died after battling cancer), Ebert, while paired with Richard Roeper and other critics for a bit, became very much his own man within his career. Outside of his job, he was inseparable from his wife Chaz Ebert. Both Siskel and Chaz are featured frequently within this documentary, of which is aptly named Life Itself. These two people, along with movies and writing, is what Ebert knew best. It isn’t a documentary that chases after everything Ebert did from start to finish. It doesn’t even touch upon his work with Richard Roeper or mention the last film he ever saw (Terrence Malick’s To The Wonder). If anything, it barely shows his favorite movies. What the film does show, however, are the movies he loved and held close to him that were perhaps seen as too challenging or even bad for their time. Bonnie and Clyde, a maligned film initially, was praised by Ebert and is now considered an American classic. Cries and Whispers, while donned with many accolades, was seen as a very tough film to watch but Ebert, a massive Ingmar Bergman fan, adored the movie. The most recent example is Tree of Life, which Ebert publicly considered an entry in his top ten films of all time; The public reception was split between fans that were blown away and people who despised the film. The careful choices for what should appear in the film speak more about Ebert as a spirit and conscious being rather than Ebert the professional critic. We see a lot of Siskel and not Roeper because Siskel’s life mirrored Eberts through both comparison and contrast, and Siskel’s death made Ebert question his own existence when suffering a similar experience. Chaz Ebert’s inclusion had Roger Ebert shown at his most natural form, where he would keep strong for the camera in the hospital but would be frustrated and sick of having to fight to keep going at home (where Chaz was his reason to keep going). We discover Ebert’s true feelings about his battle with alcoholism, his writing stints and why he took part in them, and even his self awareness of how his criticisms were both good and controversial within the publication industry. With his biography being narrated by director Steve James, we get the full story just by Ebert’s colourful choice of words. Life Itself is a funny documentary, a heartwarming picture, but also a very depressing look at Roger Ebert’s final days. Ebert was fully aware that he was entering what he calls his “third act”, and it is at this point that we realize that a film about the world’s most beloved film critic was necessary. With the intention to document Ebert based on his book without any inkling that he was to pass before the film was finished, James’ documentary is full of optimism and joy as well as the saddening realities that even a great wordsmith like Ebert himself couldn’t escape. It may have been a film that documented Roger Ebert’s successes, but it is also a movie that is, simply put, about life itself.